Non-qualified annuities allow you to invest money outside of your regular retirement accounts and still get the advantage of tax-deferred growth. As with any tax-advantaged investment, understanding the tax consequences of owning an annuity will allow you to make informed decisions when you want to get money out of an annuity contract. The function of an annuity can be divided into two phases. If an annuity is purchased to earn interest and grow in value, the contract is classified as a deferred annuity. A deferred annuity grows tax-deferred. An annuity contract can be annuitized to turn the value into a stream of income, providing income for a fixed number of years or a lifetime income for the annuitant. A deferred annuity can be converted to the annuity phase, or the annuity phase can be purchased directly in the form of a single premium immediate annuity. With a deferred annuity, annuitizing the contract is one way to get money out of the annuity. The choice to annuitize is an irrevocable decision, and the contract will pay out in the manner selected by the annuity owner. The other way to get money from an annuity is to take lump-sum withdrawals, either partial withdrawals or a full withdrawal of the annuity value. The tax-deferred earnings that have accrued in an annuity become subject to taxation when one of the two withdrawal methods is used. 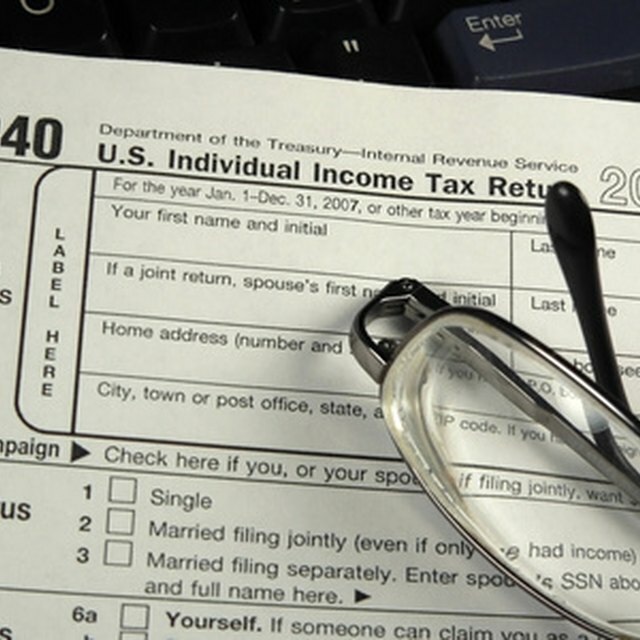 Lump-sum withdrawals from a deferred annuity are taxed on a last-in-first-out basis. With a non-qualified annuity, only the interest or gains earned will be taxable, and those gains are considered the first money to be withdrawn and taxed. For example, an annuity was purchased for $100,000 and has growth to $110,000 in value. If $10,000 is withdrawn from the contract, the $10,000 will be fully taxable as the last-in interest earned. Any further withdrawals would be non-taxable return of premium. If annuity withdrawals are made before age 59 1/2, there is an extra 10 percent tax penalty on the interest earnings. If a deferred annuity is annuitized, the annuity payments are classified as a combination of the non-qualified principal payment and taxable interest earnings. The insurance company behind the annuity will include a tax exclusion ratio with the annuity payout quote. The ratio is the portion of each annuity payment that is return of principal and non-taxable. For example, if an annuity will pay $1,000 per month and the exclusion ratio is 60 percent, the annuitant will receive $12,000 per year, of which $4,800 is taxable and $7,200 is return of principal. With a lifetime annuity, if the annuitant lives long enough to receive all of the original principal back as the excluded return of capital, the annuity payments will become fully taxable.